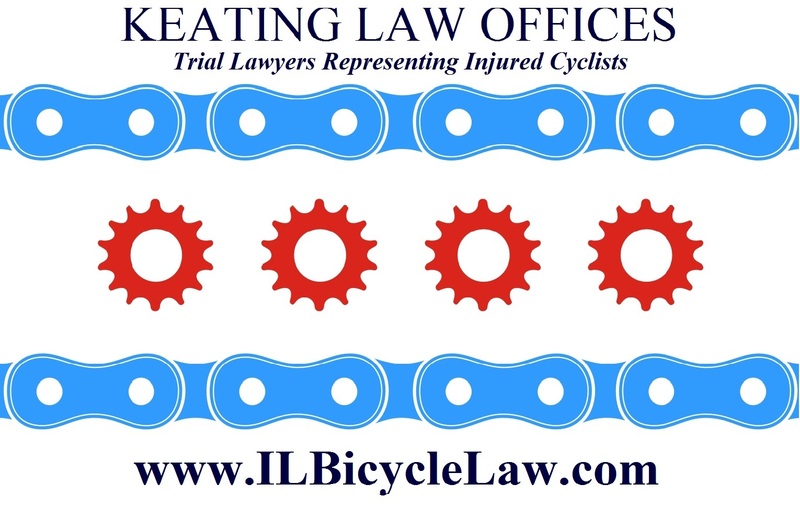 The Illinois Bicycle Lawyers at Keating Law Offices have successfully settled a claim on behalf of an injured cyclist for the full value of the $250,000.00 insurance policy. 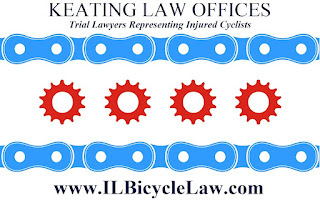 Our client was severely injured by a hit-and-run driver on August 7, 2012 while riding his bike in Chicago's Jefferson Park neighborhood. As we previously reported, the victim was struck by the still unidentified driver of an SUV near the intersection of Giddins Street and Milwaukee Avenue. As a result of this impact the bicyclist suffered severe facial injuries that required extensive reconstructive surgery. The driver of the SUV immediately fled the scene and has never been located despite two extensive investigations by the Chicago Police Department and ongoing assistance from our firm. of another driver -- and that driver is uninsured, underinsured, or never identified (which is often the case in a hit-and-run collision) -- they may be able to obtain financial compensation for their injuries from their own insurance provider. This type of insurance coverage is referred to as uninsured motorist coverage or underinsured motorist coverage. Even though all drivers in Illinois must legally have car insurance, there are many people who are willing to break that law and forgo this requirement. Time and again, uninsured and underinsured motorist coverage has proven to be a vital protection for injured bicyclists -- the true victims who lose when drivers risk being on the road with no or insufficient insurance. In this case, we were able to obtain all available compensation from the insurance company, via our client's uninsured motorist coverage, for our client's medical bills and resulting long-term effects of his injuries. Our firm's attorneys were able to successfully present our client's claim to his insurance company and make sure that he received the full benefits that he was entitled to under his policy. It is important to remember that even though a claim may by with your own insurance company, you will rarely be treated favorably. To many insurance companies a "claim is a claim" and having experienced representation is key. The attorneys at Keating Law Offices have extensive experience negotiating with insurance companies and do not settle for less than our clients deserve. We are familiar with the frustrating tactics used by insurance companies that result in the denial of claims, low settlement offers, and long delays in receiving just compensation. If you have been injured while bicycling and need help negotiating with an insurance company, please contact our firm today. 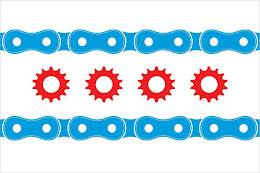 If you have any questions about this post, or any other area of personal injury law in Illinois, please contact Illinois Bicycle Lawyer Mike Keating by calling 312-208-7702 or emailing him at mkeating@keatinglegal.com 24 hours a day, 7 days a week. All emails and phone calls are returned promptly. All initial consultations are confidential and free.